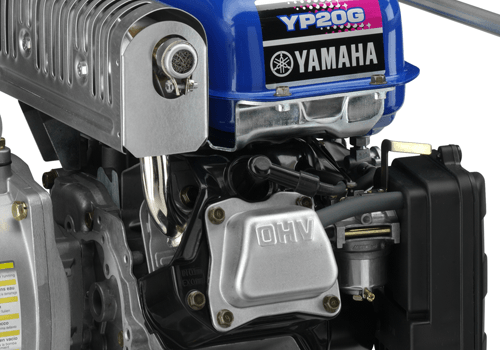 A 4-stroke, 123cc Overhead Valve engine is the heart of the YP20GY. This mid-range pump can move up to 600 litres/minute through a 2-inch port. 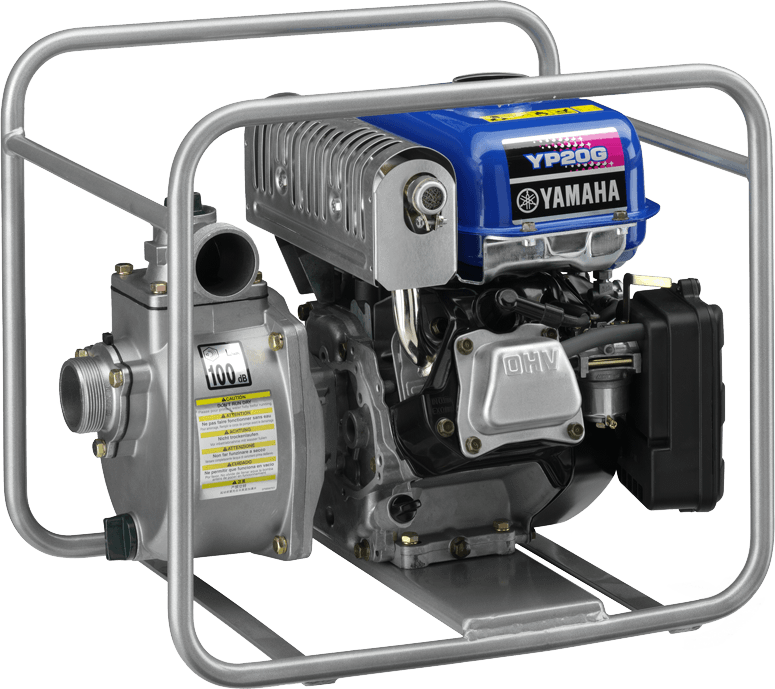 It’s engineered for long life with features like auto shut-off, low oil warning, and more. 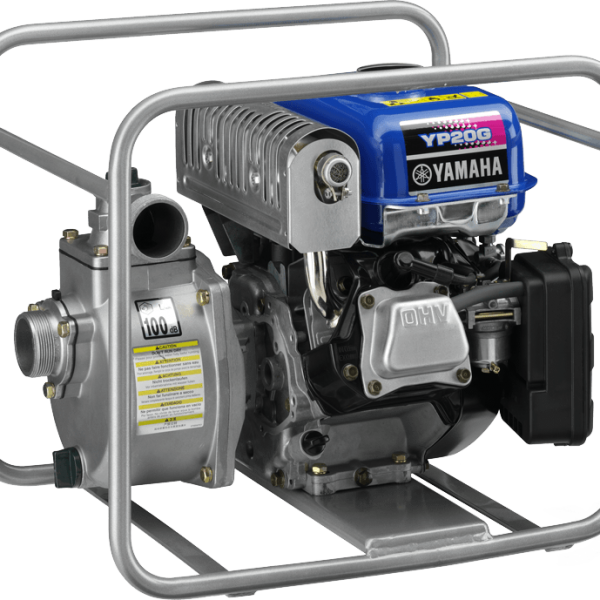 Featuring a self-priming centrifugal pump powered by Yamaha’s tough, 4-stroke, 123cc overhead valve engine, this bad boy can move up to 600 litres/minute through a hefty two-inch port. Maintenance-free transistorized controlled electronic ignition (TCI) provides a hot spark for fast, easy starting. Cast iron cylinder liner provides excellent heat dissipation for consistent performance and long engine life. On – off fuel petcock for easy transporting and storage. 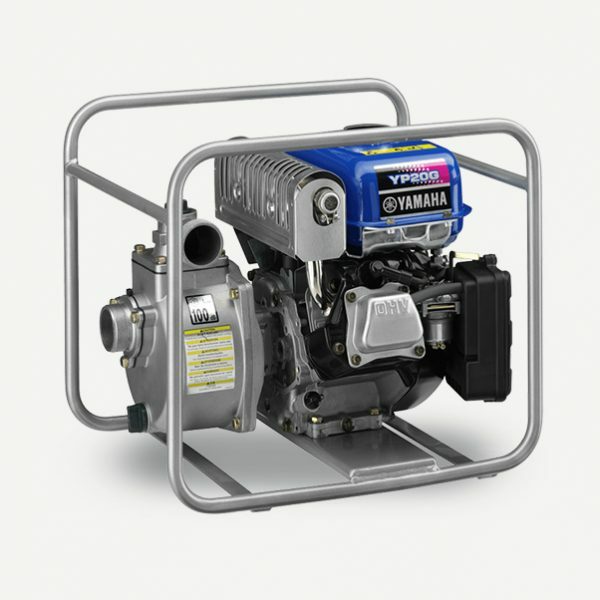 Volute style case and impeller are made of cast iron for greater strength and excellent durability. Dependable carbon-ceramic mechanical seals are durable, easy to replace and they reduce abrasion and friction for long pump life. 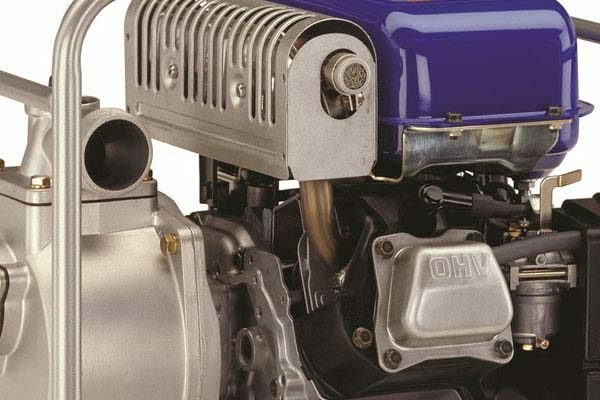 Standard National Pipe Thread (NPT) fittings for fast, easy connection of suction and discharge hoses (suction and discharge hoses available separately from Yamaha Motor Canada Ltd.). Sturdy perimeter tubular steel frame encases all components for extra protection.